(1) What is called tautomerism? (2) What is meant by functional isomerism? (1) What is Called, "Tautomerism"? 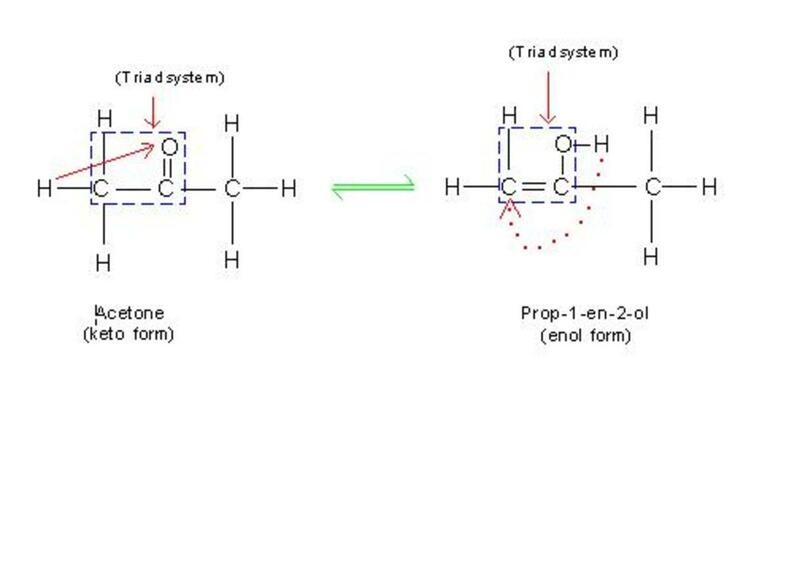 Tautomerism can be defined as, “Phenomenon through which a given compound can exist into two spontaneously interconvertible structures, which differ only in the relative position of hydrogen”. 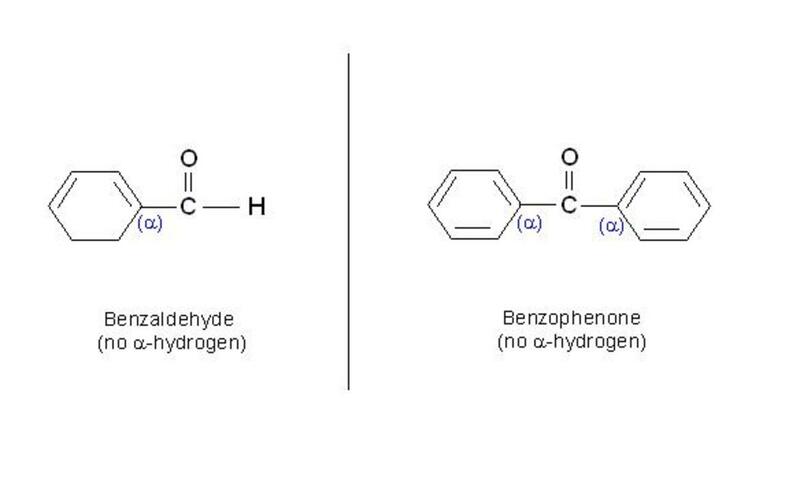 The two different structures produced thus, are known as “tautomers” of each other. This means, phenomenon of tautomerism takes place due to mobile hydrogen. In a given molecule, when one of the hydrogen atom is mobile, it migrates from one atom of the molecule to another atom in the same molecule, giving two different compounds. Two isomeric compounds obtained thus, having similar molecular formula, but different position of one hydrogen atom, are called, “tautomers”. This phenomenon is called, “tautomerism”. The term tautomerism is also known as, “desmotropism”. In Greek language, “desmos” means bond and “tropos” means turn. As the name suggests, the phenomenon involves change of bonds within the molecule. It is a kind of functional isomerism and involves difference of linkage of hydrogen atom. When two isomers have similar molecular formula but different functional groups, it is known as functional isomerism. For example, both ethanol and dimethyl ether has same molecular formula: C2H6O, but former contains "hydroxyl" functional group, while later contains "ether" functional group. Ethanol and diethyl ether are therefore functional isomers. Due to migration of hydrogen, the phenomenon of tautomerism also involves two different functional groups. For example, in keto-enol type of tautomerism, one tautomer has ketonic (>C=O) functional group while another has hydroxyl (-OH) functional group. However, it must be noted that, the hydrogen migrates leaving behind two shared electrons of covalent bond. As such, actually it is not hydrogen but is proton being migrated. Hence, tautomerism can be regarded as, "proton shift". Depending upon distance between two atoms involving migration of hydrogen, the phenomenon of tautomerism is classified into two major categories. (b) Tautomerism taking place in triad system (means system comprising of three atoms). In dyad system showing tautomerism, the migration of mobile hydrogen takes place between two adjacent atoms. This means it is a system of two atoms involving such tautomerism. However, due to actual migration of proton, such tautomerism is also known as, “1,2-proton shift”. In triad system showing tautomerism, the migration of mobile hydrogen takes place between first and third atoms in the molecule. This means it is a system of three atoms involving such tautomerism. It is also known as, “1,3-proton shift”. This will be clear from following pictures. In acetone, the acidic hydrogen migrates from carbon to oxygen to yield its tautomer called, "prop-1-en-2-ol". A molecule can exhibit the phenomenon of tautomerism only under certain conditions as described below. (a) The molecule must contain an unsaturated system of either double bond or triple bond. (b) There must be a strong electronegative atom like nitrogen or oxygen attached with double bond or triple bond. (c) There must be at least one acidic α-hydrogen in the molecule. 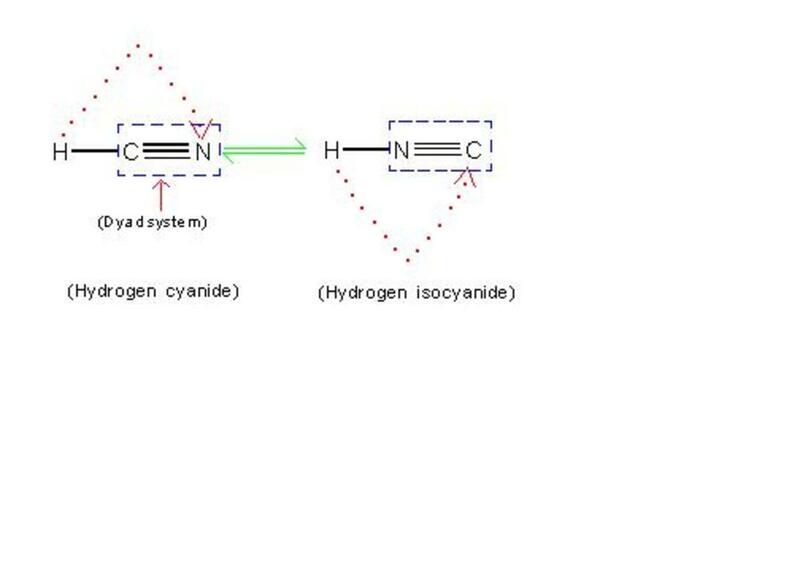 (1) Acidic hydrogen means such hydrogen, which is attached to adjacent unsaturated atom of double or triple bond. (2) α-hydrogen is a hydrogen atom joined to α-carbon. α-carbon is immediate carbon atom joined to unsaturated system. See the pictures given below. 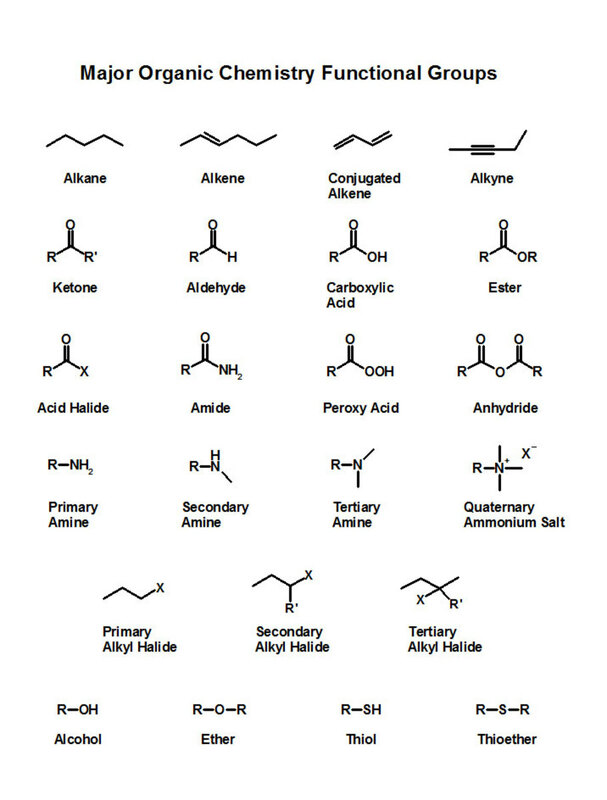 Depending upon type of functional group involved, the phenomenon of tautomerism is divided into different types as described below. (a) Keto-enol tautomerism which is discussed in detail in the following section. 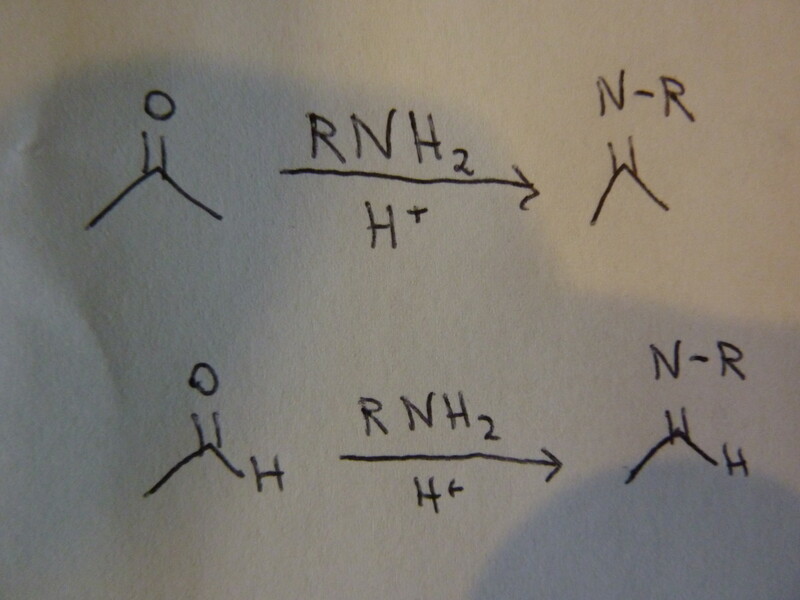 Example of this type of tautomerism is nitromethane. 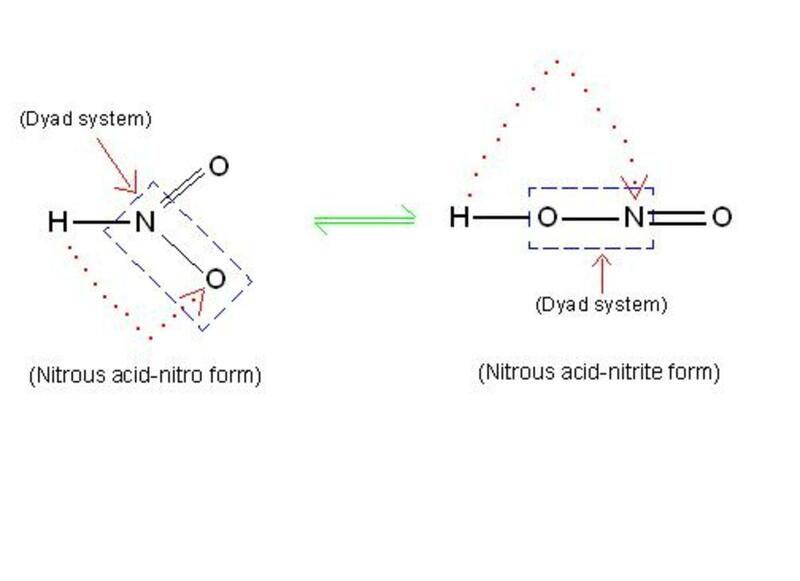 Here, nitro form and aci form are interconvertible as shown by following equation. Here, nitroso and oximino forms are interconvertible as shown by following equation. Here, amide and imidol forms are interconvertible as shown by following equation. Here, thioamido and imithiol forms are interconvertible as shown by following equation. Among different types of tautomerism listed above, it is the keto-enol tautomerism which is most common. As such, it is extensively studied type of tautomerism. In this particular type of tautomerism, one tautomer contains ketone group while another contains enol functional group. Enol functional group means such group which contains both double bond as well as hydroxyl group in the same molecule. It is interesting to note that, it is due to the phenomenon of tautomerism, hydration of ethyne (acetylene) can not yield expected product vinyl alcohol, but it yields unexpected product acetaldehyde as shown in the equation below. 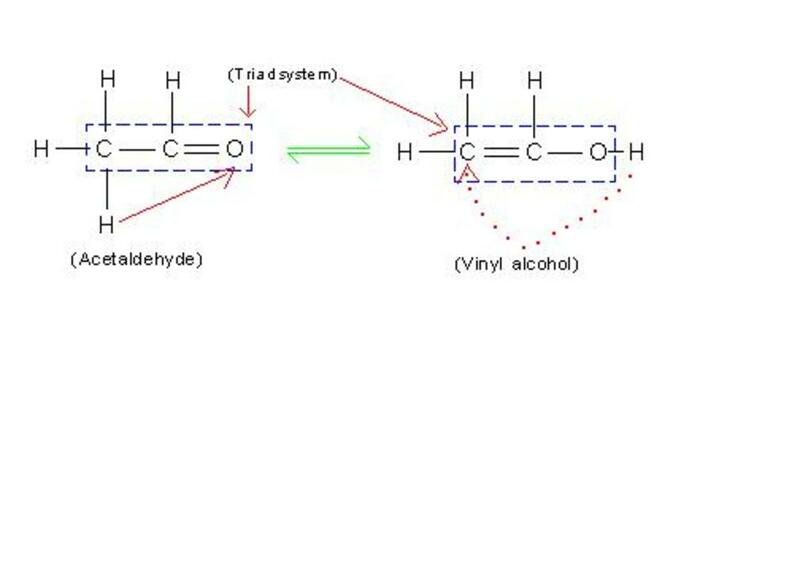 The vinyl alcohol produced thus, is readily converted into ethanal (acetaldehyde) through the phenomenon of tautomerism because it is more stable than vinyl alcohol. In this kind of tautomerism, both keto as well as enol form remain in equilibrium with each other. However, in case of simple aldehydes and ketones, the proportion of keto form predominates over that of enol form. Following are some examples in which keto form predominates. (a) In case of equilibrium between acetaldehyde and vinyl alcohol, the proportion of acetaldehyde (keto form) is about 99.5 % while that of vinyl alcohol is only 0.5 %. (b) In case of equilibrium between acetone and prop-1-en-2-ol, the proportion of acetone (keto form) is about 99.7 % while that of prop-1-en-2-ol is only 0.3 %. (c) In case of equilibrium between cyclohexanone and cyclohex-1-en-1-ol, the proportion of cyclohexanone (keto form) is about 98.5 % while that of cyclohex-1-en-1-ol is only 1.5 %. These examples indicate higher stability of ketonic form. How to explain the higher stability of ketonic form? Following two theories help to understand this. It is well known fact that higher value of bond enthalpy, gives higher stability to the molecule. In case of ketonic form, the bond enthalpy value of carbon-oxygen double bond (>C=O) is about "362 kJ/mol". This value is much higher than that for carbon-carbon double bond (>C=C<) which is about "252 kJ/mol". 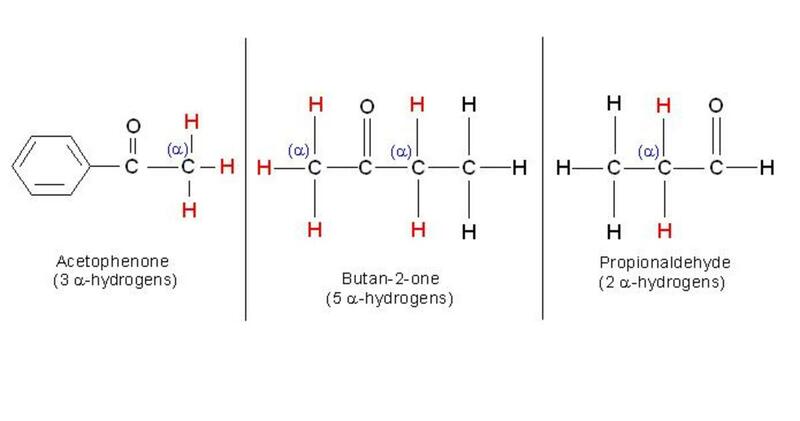 Polar solvents like water, methanol and acetic acid increases stability of ketonic form because they form inter-molecular hydrogen bond with oxygen of ketone. 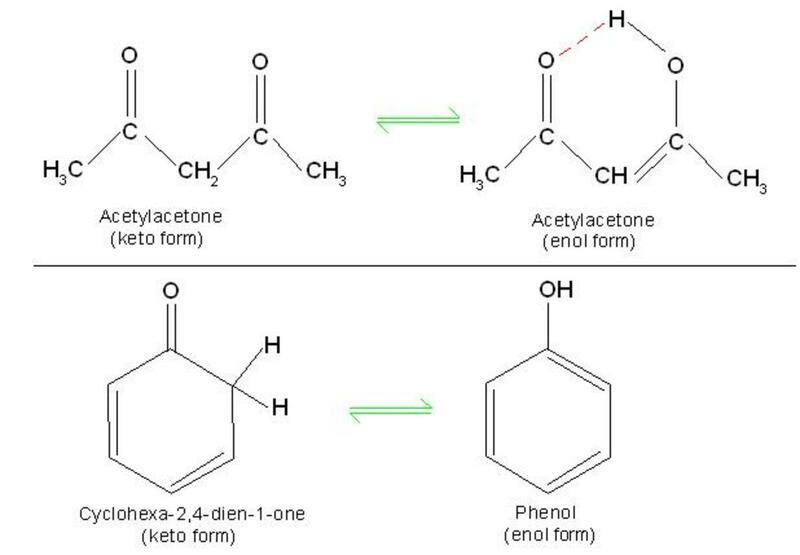 This is supported by the fact that, proportion of keto form of acetylacetone is about 25% when ethanol (which is polar) is used as a solvent, but is only about 7% when hexane (which is non-polar) is used as a solvent. 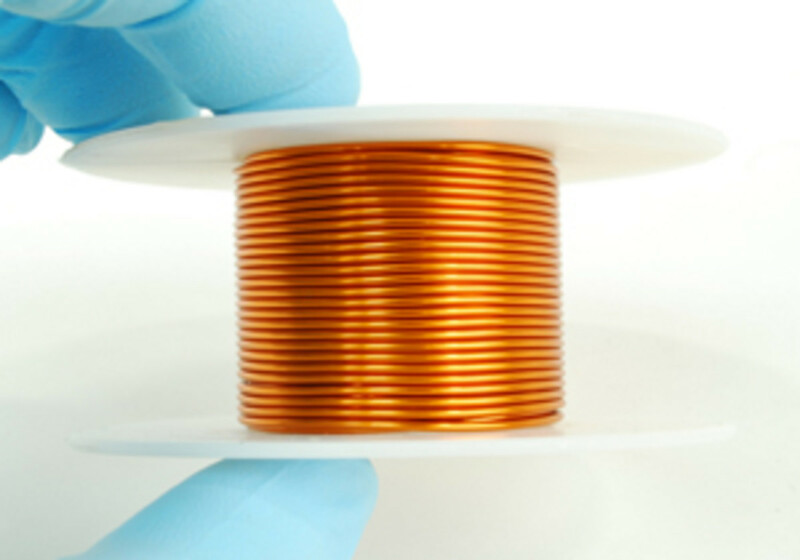 On the contrary to above discussion, It is found that in certain compounds enol form is exceptionally stable. 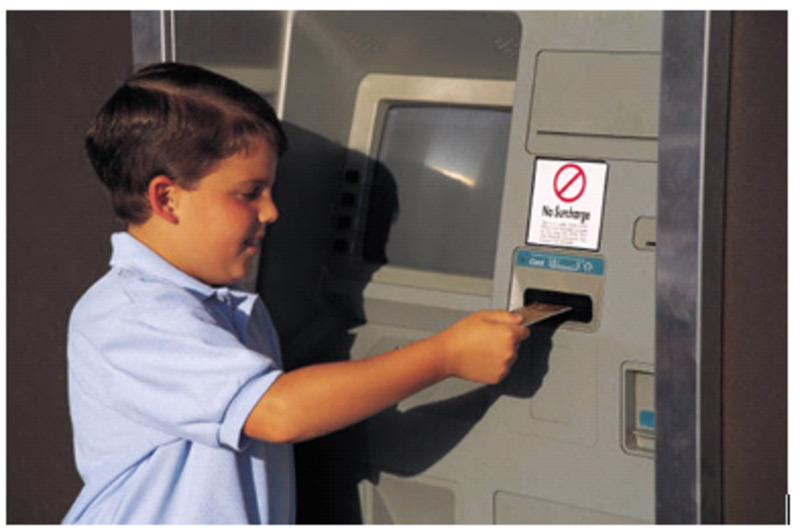 Following are the examples to support this observation. (1) In acetylacetone, the proportion of enolic form is about 76 % while that of ketonic form is only 24 %. This is due to the fact that, intramolecular hydrogen bonds are formed in enol giving it higher stability. (2) In phenol, the proportion of enolic form (means phenol itself) is higher than "cyclohexa-2,4-dien-1-one (its ketonic form). 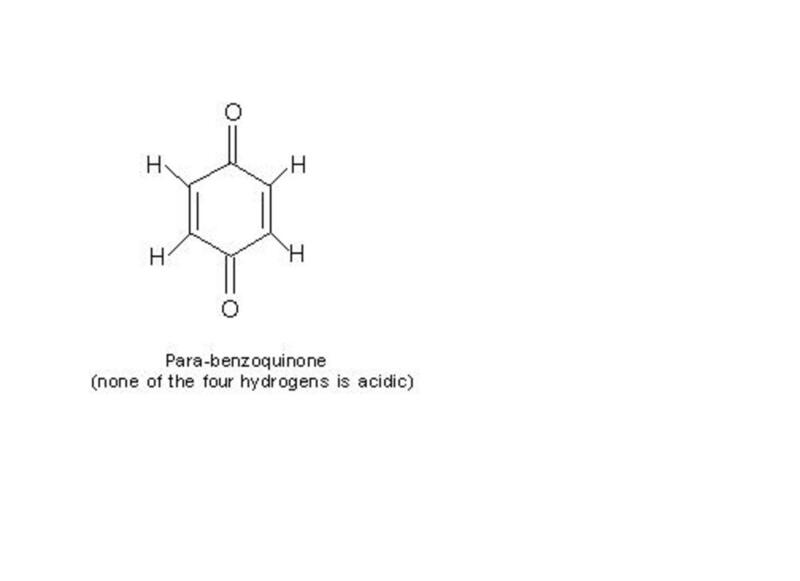 This is due to the fact that, three alternate double bonds in phenol stabilises it due to resonance energy. Both tautomerism as well as resonance involves the same phenomenon of interconversion of one structure into another structure of the same molecule. However, both the said phenomena differ in following respects. (1) Tautomerism involves change in position of hydrogen while resonance involves change in position of π-electrons of a multiple bond. (2) Tautomers are real compounds, while resonating structures are imaginary. (3) Tautomers have different functional groups, while resonating structures have similar functional groups. (4) Tautomers are in dynamic equilibrium with each other, while resonating structures are not in equilibrium. (5) The phenomenon of tautomerism does not lower the potential energy of the molecule, hence can not stabilize it. While the phenomenon of resonance lowers the potential energy of the molecule, hence stabilizes it. (1) Organic Chemistry by Robert Thornton Morrison and Robert Neilson Boyd, Seventh edition, published by Pearson Education, Inc.
(2) Organic Chemistry by I. L. Finar, Fifth edition, published by Pearson Education, Inc.
What is meant by electromeric effect? Is it temporary effect or permanent effect? Does it facilitates a chemical reaction or obstructs it? 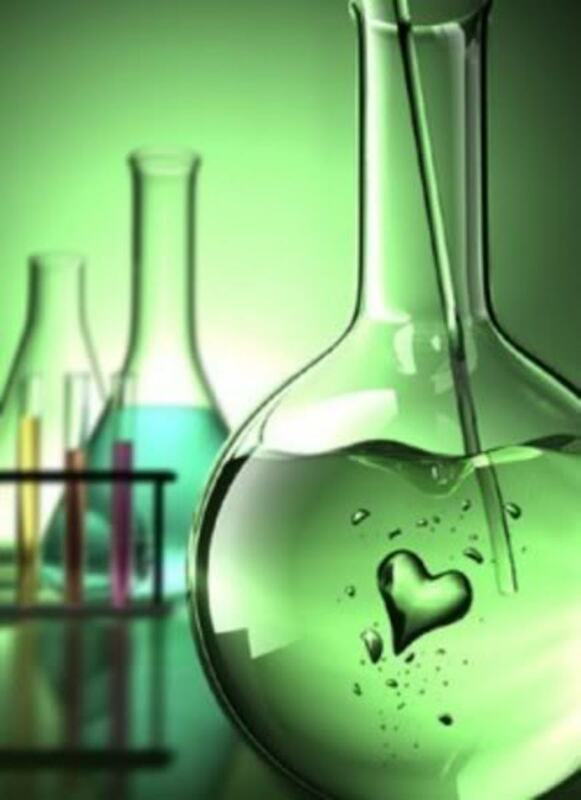 Is it observed in all organic reactions? Human body is sensitive to some common illness for which consulting a doctor is inconvenient in terms of money & time. Instead such diseases may be cured at home using some common kitchen chemicals . 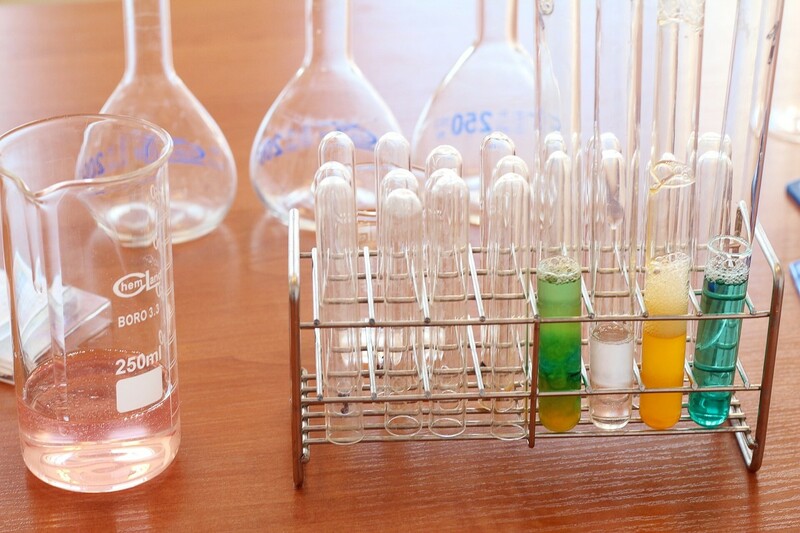 Why is the study of basic chemistry essential to understanding human body systems ?